What if you desperately needed a loan and everyone kept turning you down? If you have bad credit, then this may be an unfortunate reality for you. It’s difficult to get many traditional lenders to offer traditional loans as they see bad credit as a sign that you are a risky investment. There is a possible solution to this, however. 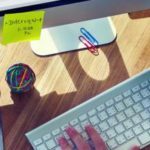 There are payday loans for people with bad credit, but it’s important that you understand how these loans work as well as how to find them. Keep reading to discover our ultimate guide to payday loans for people with bad credit! You’re reading our guide to getting payday loans even if you have bad credit. However, it’s important to first establish exactly what payday loans are. 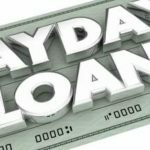 While the specifics will vary from loan to loan and lender to lender, payday loans are typically short-term loans that carry a high interest rate. Such loans may be limited to small amounts (such as $500 or less), though that is at the discretion of the lender. One reason that people with bad credit are often drawn to payday loans is that these loans are easier to qualify for than traditional loans. 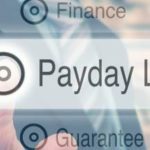 This creates a kind of natural trade-off, as a traditional loan would have better terms and a better interest rate than a payday loan, but the payday loan may be all that someone can qualify for. If you’re reading this, you either have bad credit or think you have bad credit. Nonetheless, many people do not understand exactly what bad credit is, much less how it is calculated. Credit scores are calculated by FICO, which is the commonly-used acronym for the Fair Isaac Corporation. They receive information from the three major credit bureaus (TransUnion, Experian, and Equifax) and calculate a credit score for you that ranges anywhere from zero to 850. Generally speaking, you are considered to have “bad” credit if that number is 579 or less. Between 589 and 669 are considered to have “fair” credit, while anything above 669 is considered “good” credit. What impacts your credit score? These credit bureaus analyze factors such as how much debt you have, your credit history, your payment history, and how many times your credit has been checked. We’ll talk later about some of the ways that you can repair your credit. But step one is to sign up for a free credit monitoring agency so that you can view your score every month and take steps to improve it. Some people who have never had a payday loan may wonder why people use them. 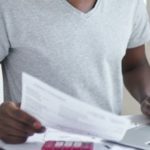 Aside from the fact that they are easy to get, what are some common uses for these short-term loans? At is turns out, these loans are very versatile for a large variety of needs. They can be helpful when someone has just moved to a new area: they might need help paying movers and setting up utilities before they get the first paycheck from their new job. Sometimes, the bad credit payday loans are good if someone is stuck waiting for money from another person. Freelancers waiting for a check, for instance, or people waiting for a child support check to arrive. As a general catch-all, though, the primary thing that payday loans for bad credit helps pay for is the unexpected. Very few people include “going to the payday lender” as part of their daily itinerary. Instead, they turn to the lender when there is an unexpected bill that they could not otherwise pay for. While there is no limit to the possible uses for payday loans, it is critically important to pay them back. Assuming you can afford the high interest and can pay the loan back on time, payday loans for bad credit may be a perfect solution for your problems. However, it is vitally important that you pay such loans back on time. Some individuals end up getting stuck in a kind of repeating loop. They take out a payday loan because they need money, but then they don’t have the money to pay it back. And thanks to the high interest rates, they are now even further in debt. Things can go downhill from there. Some of these individuals try to ignore the mounting debt, and that’s when things get worse. The payday lender will contact such people relentlessly via mail and phone to try to get their money back. And after a while, they may hire a debt collector, and it’s not uncommon for such collectors to call constantly, visit the person at work, and so on. If all else fails, the lender can sue the loan recipient for the money that is owed. And if they win their case, they can legally arrange a wage garnishment with the employer in which a portion of every check will go directly to the debt they is owed. Who Mainly Uses Payday Loans? Earlier, we talked about some of the possible uses for payday loans for bad credit. This brings a natural follow-up question, though: who are the people primarily using such loans? These loans are very popular with college students. It’s difficult balancing costly college classes and a job (or two), so student loans can help them pay what’s left of their tuition or buy books they need for the classroom. These loans are also popular with young adults that don’t have a lot of money or savings. If they need a laptop for their job and their laptop dies, the payday loan may be one of the only ways they can quickly obtain a new one. Such loans can be popular with veterans who are looking for work as well. 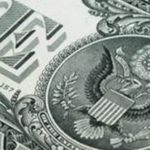 Sometimes, veterans have difficulty finding civilian jobs that match their military skills, and payday loans can help sustain them as they are getting started with a new line of work. We could keep going, but you get the idea. This just represents a small cross-section of the people who benefit from payday loans. And if you have bad credit and need quick cash, you might be next! As we said earlier, there’s not much to it when it comes to getting payday loans for bad credit. Most of these loans are designed for people with bad credit in the first place. However, it’s good to keep your options open (more on this later). You may want to pursue more traditional loans instead of going directly to the payday loan. In that case, you’ll need to know the secret to applying for loans when you have bad credit. First, check the minimum eligibility criteria. Certain lenders may have requirements about income, age, or other factors that might instantly disqualify you from anything that you apply for. Another big tip is to only apply for the exact amount of money that you need. While this is a good tip for everyone to follow (whether you have bad credit or not), asking for too much money is why many applicants get denied. Basically, you might have enough credit to qualify for X amount but not for Y amount. If you only ask for what you need, you are much likelier to get approved. Finally, consider leveraging your existing relationships. 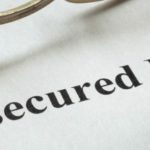 It may be easier to get a loan or line of credit from your bank than it would be to get it from some other lender that has no relationship with you. As we said earlier, it’s important to review your options when it comes to payday loans for bad credit. 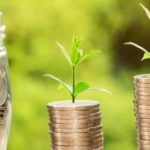 This is because the loans themselves may have similarities, but there can be enough differences between loans and lenders that one is better for you than others. The big number to look at is the interest rate. Some lenders may have a high interest rate (as high as 20%), while others may have a more competitive rate. Even a difference of a few percentage points can put a lot of money back in your pocket versus the high rate. The other big factor to look at is the repayment term. All payday loans are going to have short repayment terms, but some may be longer than others. A longer term will give you more time to pay the money back, and that’s always a good thing. Finally, you’ll want to look at the minimum and maximum loan amounts. If you need more money than a lender can offer you, then it’s time to check on the next one. Once you have the info, everything is just easy calculations. It’s a matter of finding out which lender can offer you the most money with the lowest interest rate and the most generous repayment period! When you think about “payday loans,” you might think about shady lenders that you have seen on the streets. This alone turns some people off: the thought of going inside these sketchy buildings! Good news, though: in the 21st century, you can do just about everything online. and that includes applying for payday loans! There are many payday loan lenders out there, with some of them being online only. The fact that you can apply for those loans online gives you a great chance to review the specific terms of each loan. It also gives you a great chance to find out which of these payday lenders has the best reputation. With any luck, you’ll find the best of both worlds: a reputable lender that has both payday loans and traditional loans available to those who need them! As useful as payday loans for people with bad credit are, let’s face it: no one wants to rely on payday loans forever. And you may want to make major purchases later on (ranging from cars to homes) that hinge on having good credit. That leaves a really big question: what can you do to rebuild your credit? Fortunately, there are many ways to do this, and you can do several of them at one time. We already mentioned step one earlier: sign up for a free credit monitoring agency. Such agencies will give you free monthly updates on your credit score (as determined by the three bureaus) and offer their own tips and tricks for improving your credit score. The second step is to square away your credit card payments. Your payment history is the biggest part of your credit score, so this step is very important. If you cannot make all of your monthly payments on time, contact your creditors and try to work out a better payment plan with them. If you’re not already doing this, be sure to focus on paying every bill on time. Your bank may have online payment options that can help you do this automatically. It can be tempting to go wild if you get extra money. However, using some of that to pay down credit debt can give your score a boost. Finally, you may want to get a secured credit card. These cards use money in your bank account as collateral, and they can help you begin building credit. After a few months with this, you can request to upgrade to an unsecured card and further build your credit. Now you know all about payday loans for people with bad credit. You know some lenders are better than others…but do you know where to find the best? At BonsaiFinance, we are devoted to providing financial solutions to all of our customers. If you need some financial help, come check out our loans with no credit check! 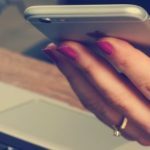 No Credit Check Internet: What Options Do You Have?